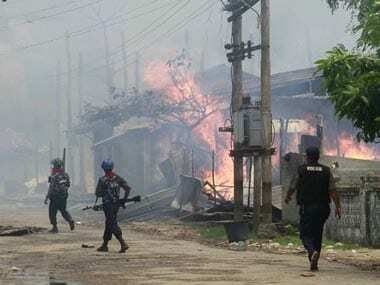 Three bombs exploded in different locations around Rakhine's state capital Sittwe early on Saturday morning. 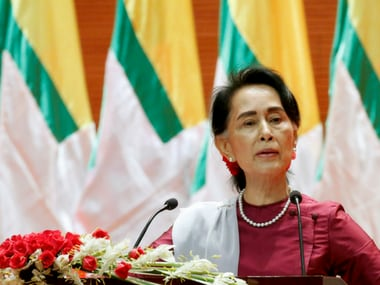 Aung San Suu Kyi made her first visit as Myanmar's leader on Thursday to the conflict-torn region where more than half a million Rohingya Muslims have fled state-led violence. 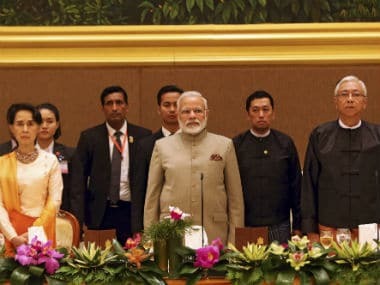 At least 56 people have been killed and nearly 2,000 homes destroyed in the latest outbreak of ethnic violence in western Myanmar, a government official said today. 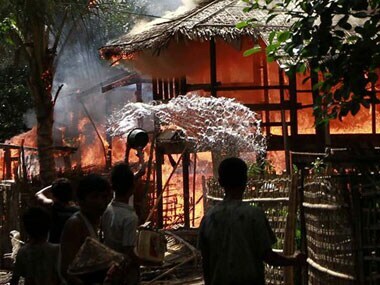 Gunshots rang out and residents fled blazing homes in western Myanmar on Tuesday as security forces struggled to contain deadly ethnic and religious violence that has killed at least a dozen people and forced thousands to flee.